Here we will write how to grow Jerusalem Artichoke plant. Artichokes are plants that are very easy to grow but you have to plan ahead because once they grow, they are very difficult to get rid of. These are tasty and unusual vegetables. Here we will explain how to cultivate Artichokes, especially variants of Jerusalem. Before planting Artichokes, you need to know that Jerusalem Artichoke is a root plant but it has tall leaves that can even reach a height of 2.5 meters. With such a high duan, he can provide a large shade. If you want to plant, you should plant it in the northern garden. Artichokes can also be windbreaks in the fall but must be supported by pegs or ropes so they don’t fall in the wind. Same to bamboo that difficult to get rid, Jerusalem Artichoke is very difficult to get rid of because it can continue to live only from a few roots left in the ground. If you harvest today, the roots that live in the soil will grow back and become new Artichokes. 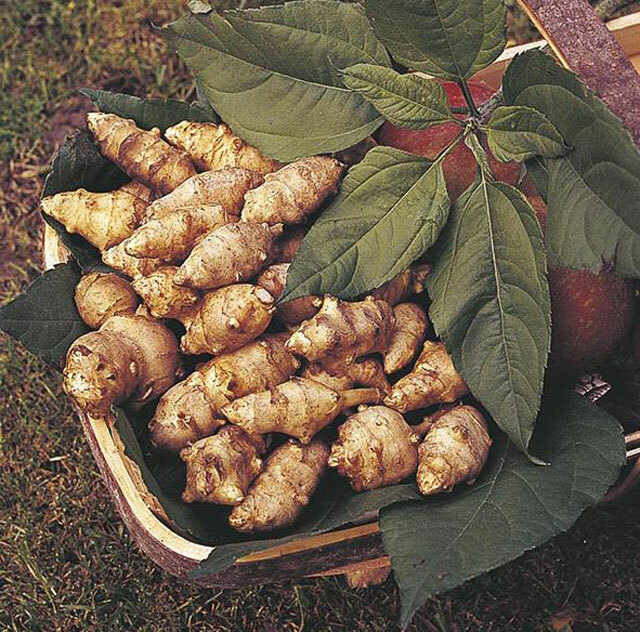 When planting Jerusalem Artichokes, you have to choose a good variety, Fuseau is a popular variant with smooth bulbs. Because Jerusalem Artichokes is resistant to the situation, you have no problem when you will plant it. You can also plant it in early February. Prepare loose and fertile land, make a planting place with a depth of 15 cm and a spacing between seeds of about 30 cm. It can grow in full or partial sunlight. This plant can also be planted in various types of soil except the soil has high acidity or is submerged in water. Its growth is very fast through its roots which continue to spread in the soil. Planting Jerusalem Artichokes are not confusing with pests because they are rarely affected by pests. The only problem you need to pay attention to is rabbits because he really likes Artichokes. Just like growing cassava, you have to do “Earth Up” at least twice a year during growth. Continue to hold EARTH UP until it reaches a height of 15 cm around the stem. Earthing up is the act of raising the soil around the artichokes bar. This process is very useful for plants such as strengthening the stems of plants and fertilizing plants and can increase yields. After planting Jerusalem Artichoke, in the middle of spring you have to trim the leaves. It aims to focus energy on the development of tubers. Likewise with the flower buds that may appear. Removing a number of leaves and flowers is useful to help bulbs become bigger when harvest time comes. 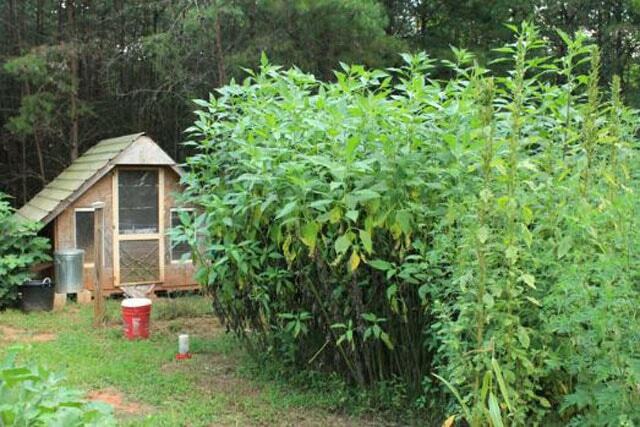 For those of you who plant Jerusalem Artichoke in a high area of wind, you have to make a buffer so as not to collapse. You can make a support pole at each end of the planting line. Then tie the rope to the pole on the left and right to block or prevent Artichokes from blowing in the wind. When the harvest will come, the leaves of Jerusalem Artichoke will turn yellow. You must cut until the remaining 7.5 cm from the ground. The Dun you cut can be placed on the ground at the bottom of the Jerusalem Artichoke stem. Jerusalem artichokes can already be harvested in late summer or autumn. You can dig in the winter so that the soil is loose and easily hoes to remove bulbs. Use the knobbly ones for consumption or cooking, and leave the smoothest. You will use this again for planting the following season. The best way to consume it is to boil artichokes, in this way you will easily peel the skin. Bulbs in Jerusalem artichokes can also be consumed by roasting or making soup. One of the Jerusalem artichoke benefits of is as a source of “inulin” carbohydrates which function to destroy bacteria in the intestine.